Greg comes to LeForce by way of Erie, Pennsylvania. Over the past 20 years he has honed his ability to deliver a smooth, professional, elegant event through a combination of thorough planning, clear communication and strict attention to detail. 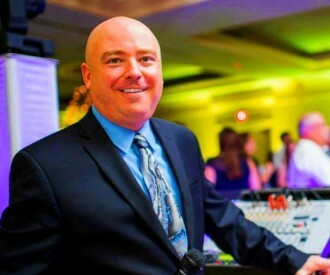 Greg has a passion for helping couples have a perfect wedding day; his DFW wedding DJ services bring together all the details. He compares it to conducting a symphony, there are many pieces of the day that have to happen just at the right time to make the performance great. 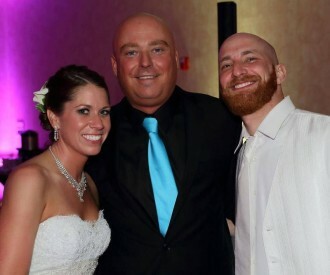 Greg knows you will be making promises to your spouse on your wedding day and he’ll make a promise to you as well, to respect the vision of your wedding, to keep your wedding and reception flowing as smoothly as possible and to keep your happiness and satisfaction his number one priority. To own a cabin on a mountain or go to Ireland! Football and the Rams. I always had a hard time explaining this because of where I am from. Where I lived you generally were a Steeler, Browns or Bills fan. I have never liked going along with the pack from when I was a kid so for some reason I picked the Rams. Honestly I think it was because I liked the helmets (mind you I was like 10). Caught a lot of crap about it but with the Browns right there generally I was ok. The joy and fun I get to bring to a couple or event. How many people get to have a JOB where they can do that everyday? “Our DJ with LeForce, Greg Anderson, was absolutely AMAZING! He was so personable and easy to work with- we were so, so lucky to have him at our reception. He played all of the songs we requested and knew how to keep the party moving. Both sides of our family danced all night! He was always quick to respond to emails and questions. He even set up a quick phone conversation the week before to make sure we were all set. He also helped us pick music selections that made our night so special. 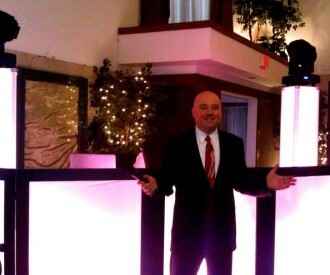 “Greg Anderson is a fantastic and very professional DJ. Throughout all of our communication he was always very prompt and so easy to work with. He gave us a lot of guidance throughout the process, since we were learning what to do and what not to do. He set up an in-person meeting and a couple more phone meetings. He wanted to make sure to talk through everything, which I very much appreciated.